Back in the game. I am going to go full tilt on another set of valentines and seeing what comes out of it. Momentum, that's the name of this game. The frame above is evidence of the puddling around. There is going to be another memorial to bees and beekeeping as I love the imagery. Maybe time tonight to work on the other pieces for this image. I am excited and churning in the head. I also have a fraktur image in the works. Time to play the scales before I start playing the piano again. I want to keep this going at the pace with the passion that was spurred by educational goals but by my own drive. 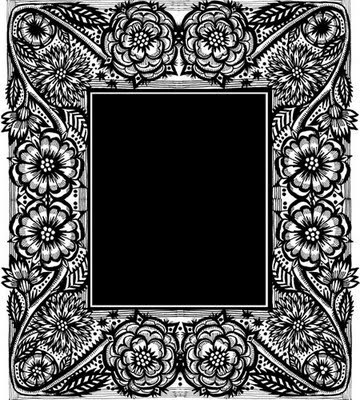 This muddling and framemaking was the way in to the Memento Mori project, so we will see. I am loving this nature stuff...and the heavy frames that would poke into the image or the image weave into it...we'll see. Am starting to engage in the posters ideas for the Hangar 2010 season. 39 Steps, Man of La Mancha, Penelope of Ithaca, The Piano Lesson, and The 25th Annual Putnam County Spelling Bee are the plays. Some are more symbolic than others...The Spelling Bee is fun. Man of LaMancha could be ala the Beggarstaff Brothers...or could be a portrait of our friend Dave as the man tilting at windmills. Penelope is being written for the Hangar...and the Piano Lesson is one of a cycle of 10 plays...with some interesting imagery from Pittsburgh, from pianos etc. Swimming last night in the lake was perfection. I really wanted to be there until I wrinkled...but with the divebombing horseflies--it was impossible to consider an evening immersed in Cayuga's waters. It's clouding up. Kitty, Alex and Nigel are working away at cleaning the borders of our property--cutting all the privet to the ground, whacking away at all the weedy messes, clearing branches and logs. Its going to rain...matter of fact as I look out the window, its happening right now. Thank goodness as the humidity is clingy and unfriendly. I guess an evening of drawing( yay!) and reading something trashy? !